On publishing part one of our Brexit opinion special, we received several more contributions, which we publish here. We would be happy to run a 'part three': get in touch on [email protected]. We are also planning to collect these and other related material in a Brexit special in our free iOS / Android app. Socioeconomic fears and immigration were major issues throughout the EU referendum campaign. Interestingly, recent research has considered the role of political ideology in socioeconomic fears and attitudes toward other groups (van Prooijen, Krouwel, Boiten, & Eendebak, 2015). Political ideology is frequently seen as a kind of glue that binds diverse social attitudes together. However, scholars have debated whether some attitudes are special in political ideology. If we consider the traditional left-right ideological distinction, one question is whether right-wing extremists are more likely than left-wing extremists to experience socioeconomic fear and to possess negative attitudes to groups that are not their own. van Prooijen and colleagues examined this hypothesis, proposing that political extremes at both ends of the left-right spectrum are more likely to display these responses than political moderates. Their study had two phases. In the first phase, Dutch participants rated the extent to which they identified as being left- or right-wing. A year later, participants answered questions measuring their fear of current socioeconomic conditions, attitudes toward diverse social groups (e.g., scientists, soldiers, bankers), and attitudes toward immigrants in particular. Comparisons of the responses to the question about political ideology with responses to the socioeconomic fear and attitude questions were revealing. Supporting the researchers’ predictions, people at the extreme on either end of the left-right dimension expressed more socioeconomic fear and more negative attitudes toward diverse outgroups. Further, the link between ideology and negativity toward the groups was attributable to the greater socioeconomic fear held by people in the extreme left and right. Interestingly, a different pattern emerged in attitudes toward immigrants. Here, individuals on the far right were more negative in their opinions than individuals on the far left. This suggests that immigration is a defining issue in political ideology: although both extremes manifest socioeconomic fear and negativity toward diverse groups, immigration may uniquely separate left and right. These data are informative for understanding political ideology and attitudes. In the current context, it is important to recognise the importance of immigration in relation to political views, both in the EU and beyond. Van Prooijen, J.-W., Krouwel, A. P. M., Boiten, M., & Eendebak, L. (2015). Fear among the extremes: How political ideology predicts negative emotions and outgroup derogation. Personality and Social Psychology Bulletin, 41, 485-497. We are currently running a ‘flashbulb’ memory study for the moment people first learned of the outcome of the Brexit referendum. This is a European-wide survey, currently 7 countries are participating, and involves completing a questionnaire about your personal circumstances, e.g. where you were, what you were doing, how you felt, etc., when first learning of the news. Flashbulb memory studies are invariably about negative events, the death of Princess Dianna, 911, and so on. However, Brexit is interesting in that people are fairly evenly split between those who welcome leaving the EU and those who do not. Giving us an opportunity to examine the degree to which positive versus negative emotions impact on memory. Please visit the website to complete, anonymously, the questionnaire. Thank you for joining in our survey! As a clinical psychologist, I’ve spent a lot of time talking to people who are feeling emotional. It’s a large part of the job. And when we’re emotional, it’s hard to think things through properly. Indeed, that’s one of the main ideas behind cognitive therapy. If there was ever a time when we needed to think something through clearly, it was last week – when we had to decide how to vote in the EU referendum – and now, when we are dealing with the aftermath. The importance of the issues – the events of 2016 will likely have a profound effect on UK life for generations to come – is matched only by their complexity. As a psychologist I worry that some of our voting decisions – and indeed the referendum result – may have been partly the product of emotional thinking. Recent political and economic events have left many people feeling stressed, depressed, anxious, hopeless and adrift. Many have lost their jobs with the closure of traditional industries, and with them often their sense of identity and belonging. Buying or even renting a home is often out of reach, people have lost faith in politicians and feel disenfranchised, local shops and pubs have closed leaving people isolated. Many are struggling even to afford the basics: wages are low and unpredictable or they may be just getting by on benefits. Some have to rely on food banks and have felt humiliated by the experience. We worry for our own and our children’s future. Emotions are running high. In this context, many of us will have found the oversimplified stories put out by both sides, but particularly in my view by the ‘out’ campaign, much more convincing than we might otherwise have done. It’s well documented that in extremis, people look for someone to blame: the processes of ‘scapegoating’ and ‘othering’ are well documented in social psychology. So the stories are seductive: our problems are due to an influx of foreigners threatening our livelihoods and our public services, and to paper-shuffling, ineffectual Brussels eurocrats siphoning off billions from our national coffers. Perhaps I’m thinking emotionally myself, but I’m very worried about our future. There are huge echoes for me of earlier periods in our European history when people blamed their problems on ‘foreigners’ in their midst. The racist attacks that have been reported in the days since the referendum are deeply troubling. The 1930s and 1940s are very present in my mind. And as we know, it didn’t end well. On the other hand, as a ‘remain’ voter I’m only too aware of the danger of othering and scapegoating people who voted to leave. That way lies huge danger too. Maybe I’m even guilty of doing that here. As psychologists we need to put our energies into helping heal, rather than worsening the rifts that this process has opened up between people. But then I’m feeling emotional. Our awareness of psychological processes doesn’t make us immune. But it should make us careful. Anne Cooke is a Consultant Clinical Psychologist and Principal Lecturer at Canterbury Christ Church University. Without actually looking over their shoulders in the polling booths, my colleagues in the psychology department at the university where I work voted overwhelmingly (where 'overwhelmingly' means >80%) in favour of 'Remain'. Most conversations assumed that that was the only logical, intelligent position and this was reinforced by university-wide e-mails from the vice-chancellor supporting that view and making it unwise to express any alternative view. Combine this with polls published in the national press mainly suggesting a small lead for Remain in the week leading up to the referendum and this likely created a strong expectation about the probable outcome. This is the ideal environment in which cognitive biases such as the confirmation bias (a tendency to listen only for information that confirms our preconceptions) and selective perception (allowing our expectations to influence how we see the world) could grow and spread. As psychologists, we are no less immune to these sources of bias than anyone else. They would predict the strength of the surprise and upset most of my colleagues experienced when they woke on Friday morning after the referendum result was announced and, judging by reactions you have published, those of British psychologists more widely. The solution, as we keep telling our students, is to examine our assumptions more carefully and think more critically about our beliefs and expectations about the world. We might also have sought the opinions of a wider range of people than our academic colleagues to find out what mattered to them. The failure of opinion polls to predict the result of the British EU referendum is only one aspect of a gap between the voters and the establishment. More fundamental is the failure of those who called the referendum to imagine what the outcome might be. They failed to anticipate both the result of the vote, and the intense emotions and motives of many of those who voted to Leave. The first of these might easily have been predicted by psychologists, who know that people can’t accurately report their own decision making process or predict their future choices. When asked in a survey, voters can’t – or won’t – accurately predict how they will vote in the polling booth. But even more importantly, when asked a question in the polling booth, voters do not answer according to their true preferences. Probably, voters have no true and well-defined preferences; all their choices, and their answers to all questions, are context-dependent. This creates two clear risks. First, that dangerous political actors can interpret an ambiguous instruction from voters to suit their agenda. Second, that the asking of the question itself crystallises vague fears or feelings into a concrete motivation – such as “get the immigrants out” – that otherwise might never surface or even exist within the voter’s mind. Plausible sociological theories exist to explain the “real” causes that might lie behind these motives – alienation, economic deprivation, anxiety – but empirical evidence is lacking. This places a psychological question at the heart of democracy, and one that the psychology discipline might not be well-prepared to answer: what do voters really want? An immediate methodological question follows: how can we find out? The recent history of psychology, and especially the judgement and decision making field, includes extensive work on how people get what they want: a deep literature on search strategies, choice heuristics and the valuation of options under uncertainty. When we give a subject a goal or a task, we are quite good at measuring how they solve it. However, the literature is mostly silent on a question equally important in practical life: how do people get their goals? What makes them pick a particular task, or want a particular outcome? Put another way, where do their preferences come from? We can query whether preferences are stable, formed dynamically in context or exist before the choice situation arises. However it seems clear that there is some consistency in what people want, some reliable differences between individuals. Traditional economics assumes this question away, with models based on preferences that are exogenously given to the agent, and focusing simply on how people trade to achieve those preferences. Even psychologically informed behavioural economics does not explore why someone wants A over B; it only asks how they make decisions between A and B, and the processes and biases that might be involved. A key task for psychologists, and in particular for the field of cognitive economics, is to understand what people want and to develop tools to measure it. We might borrow ideas from the market research world, where practitioners have started to use implicit techniques such as the Implicit Association Test to learn about consumers’ unconscious attitudes and biases. We could adapt empirical tools from social or cognitive psychology. We might develop quantitatively robust approaches inspired by qualitative techniques used in clinical psychology. If as a society we are to maintain effective and legitimate democratic representation, we need to understand voters’ desires and true intentions in a deeper and more reliable way than either the opinion poll or the ballot box achieves. Psychologists, uniquely, have the right skills, the right models and the appreciation of this challenge. In the extreme, it may come down to us to rescue democracy by turning our efforts to understanding the electorate and communicating what they really want. Brexit: Implications for Diversity and Intersectionality? 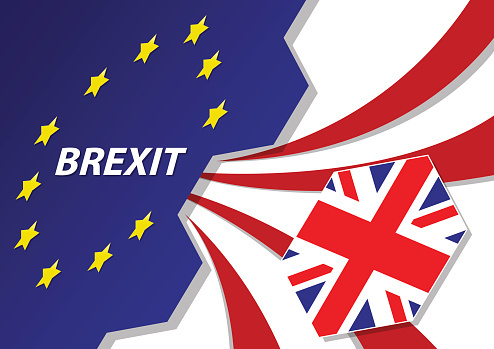 As morning broke on the 24th of June 2016, results of the national referendum of a British Exit or ‘Brexit’ from the European Union (EU) became a sobering, yet cataclysmic reality. Coincidentally, on the same day in 1509, Henry Tudor was crowned Henry VIII, King of England, who later broke with Rome to form the Church of England which led to colossal changes across Europe. As a Psychologist in Training with interests in mental health and physical health multi-morbidities, I’m continually fascinated by the psychological impact of Brexit, particularly across social-ecological micro, meso, exo and macro levels (Bronfenbrenner, 1986). Media portrayals of xenophobic and anti-immigrant attacks against EU nationals and international migrants appeared to resonate with minority group and social identity theory emphasising in-group (us) and out-group (them) dynamics (Tajfel & Turner, 1979), scapegoat theory (Lindzey, 1950) and downward comparisons (Festinger, 1954). Moreover, as some pro-Brexit initiatives appear to be revised and retracted after the referendum result (Stone, 2016), I wondered whether ‘remain’ voters encountered feelings of shame, embarrassment, powerlessness with potential implications for ‘spoiled identity’ (Goffman, 2009) within a post Brexit era. I contemplated whether dichotomous ‘remain’ versus ‘leave’ votes resembled a splitting cognitive distortion of ‘all or nothing’ thinking (Beck, 1972) and potential paranoid-schizoid position of ‘good’ versus ‘bad’ (Klein, 1946). I wondered whether pro-Brexit campaigners considered the impact of ongoing references to ‘leave’ for people with living with social anxiety, social phobias and susceptibility to suicidal ideation. Moreover, as the UK life expectancy increases, I pondered whether emphasising ‘leave’ triggers symptoms of Post Traumatic Stress Disorder for survivors from the Second World War who fled to the UK to escape persecution and prejudice within Nazi Germany. Emphasis on ‘leave’ also appears to contradict with fundamental generic practitioner psychologist professional skills of compassion, sensitivity and respect for difference which may impact the delivery of psychological interventions. My mixed White British and Indo-Caribbean ethnicity and interests in intersectionality highlighting interactions of multiple identity and experiences of exclusion and subordination (Crenshaw, 1991), evoked interests in experiences encountered by people from Black, Asian and Minority Ethnic (BAME) Groups. Increases in racial abuse, Islamophobia and hate crime since the referendum result (Khaleeli, 2016) prompted concerns on whether Brexit would result in people from BAME groups encountering additional multiple marginalisation, stigma, shame and distress from their ethnicity, nationality and mental health concerns in comparison with people with White British identities. The true and longitudinal impact of Brexit remains to be seen. In the near future, I’m hoping more can be done to consider the potentially shattering impact Brexit may have on vulnerable people and practitioner psychologists along with ongoing implications for an increasingly diverse UK population. - Dr Jan Smith, NHS Education for Scotland (NES) Health Psychologist in Training. Find her on Twitter. Beck, A.T. (1972). Depression; Causes and Treatment. Philadelphia, University of Pennsylvania Press. Bronfenbrenner, U. (1986). Ecology of the family as a context for human development: Research perspectives. Developmental psychology, 22(6), 723. Crenshaw, K. (1991). Mapping the margins: Intersectionality, identity politics, and violence against women of color. Stanford law review, 1241-1299. Festinger, L.A. (1954). A theory of social comparison processes. Human Relations, 7, 117-140. Goffman, E. (2009). Stigma: Notes on the management of spoiled identity. Simon and Schuster. Khaleeli, H. (2016). ‘A frenzy of hatred’: how to understand Brexit racism. The Guardian, Wednesday 29th June 2016. http://www.theguardian.com/politics/2016/jun/29/frenzy-hatred-brexit-rac.... Accessed July 2016. Kline, M. (1946). Notes on some schizoid mechanisms. The Journal of Psychotherapy Practice and Research, 5, 2, 160. Lindzey, G. (1950). An experimental examination of the scapegoat theory of prejudice. The Journal of Abnormal and Social Psychology, 45(2), 296. Stone, J. (2016). Nigel Farage backtracks on Leave campaign's '£350m for the NHS' pledge hours after result. http://www.independent.co.uk/news/uk/politics/eu-referendum-result-nigel.... Accessed July 2016. Tajfel, H., & Turner, J. C. (1979). An integrative theory of intergroup conflict. The social psychology of intergroup relations?, 33, 47. Can psychologists explain the campaign slogans in the Brexit campaign? I will highlight just three campaign statements. (I should declare an interest: For many reasons, I sided with the Remain campaign: see my Twitter feed for evidence and arguments). I am basing these on the official Leave campaign flyer I received on the run up to the election, and borrowing robust theory and phenomena from the reasoning and decision-making literature one might be exposed to on a typical UK Psychology undergraduate programme. 1. First, the now infamous statement that we are currently spending £350 million per week on EU membership. Although this figure has been widely debunked, its mass use within the campaigning period; on buses, flyers etc was no doubt powerful. A well-known effect that was probably used with this statement was the 'framing' or 'Anchor and Adjust' effect. By centring the question around a figure, the answer will then be ‘framed’ around it. For example, when selling a house, one may advertise a price much higher than the market value, so that the buyer uses this unrealistically high price in their offer price. The result will ineviteably be a higher offer than simply providing the market price or leaving the question open. The £350 million claim was a good example of this. Although people may have realised this was unrealistically high (based on gross spending), their estimation of the actual spending (minus rebait) would have been higher than simply the campaigners initially giving a net value. 2. The Leave campaign also said that five new countries are ‘in the queue’ to join the EU: Albania, Macedonia, Montenegro, Serbia and Turkey with a combined population of 89 million. Again, this is a clear example of the framing effect. This number assumes that every person would leave their own country in favour of UK, and it also is predicated on the notion that all these nations would join the EU (something that experts assess as very unlikely). However, as the question of immigration is framed in these terms, readers are much more likely to ‘drop down’ to a much higher amount than they would have without this statement. 3. At the end of the Leave campaign flyer, a question was posed to the reader: “Imagine the question was the other way around. Imagine the vote on the 23 June is whether we should join the EU”. As Daniel Kahneman explained within his book ‘Thinking: Fast and Slow’, loss aversion determines that negative consequences will have a greater impact on decision making than positive ones (i.e., “losses loom larger”). Humans are biased towards the status quo, and are naturally averse to losing something we already have (e.g., food, money, EU membership). By changing the status quo to ‘outside the EU’, the campaign team cleverly changed the status quo, and created a question that would bias people in favour of ‘remaining’ outside the EU. In general, the more these slogans were repeated throughout the campaign (such as the claim about Turkey soon joining the EU) would have affected how likely people perceive it to be. This is also termed the availability heuristic: the notion that availability of information (and the ease to which it is brought to mind) affects how people judge likelihood. Considering that much of this research on decision making dates back to the 1970s, it is a shame that it has not been communicated to the general public in this context. If it had, perhaps the public would have been more able to understand and critique the slogans used that led to a decision that will undoubtedly have a substantial impact for individuals, our country and the wider world. While we in Britain agonise over the difficult task of leaving the European Union, the dominant view abroad is that we have taken leave of our senses. Even before the referendum, the Washington Post stated flatly that Brexit would be an act of insanity. That view has not changed, as anyone knows who has not spent the last six months marooned on a desert island. So are we insane? Let’s consider the facts. The two major psychoses are schizophrenia and manic depressive illness (bipolar disorder), and common to the more severe forms of both is the paranoid-grandiose axis. In other words, the person who falsely believes they are of high rank or important and others are out to attack them. Both of these features apply to Brexit. Grandiosity is inherent in the notion of sovereignty, ruling the waves and harking back to the Empire, famously embellished by the Sun’s headline that the Queen was lending her royal support. Paranoia is evidenced in fears of being overrun by hordes of malevolent invaders, or convictions that all aspects of our lives are controlled by the tentacles of an evil bureaucracy in Brussels. These ideas are not just fanciful, some would say they verge on the delusional. Do we hear voices? Well not exactly, although there is the voice of the people of course, to which we pay great attention. Come to think it, it does carry an imperative force, a compulsion to obey, which puts one in mind of “command hallucinations”. Those can be rather risky. And then there was the unbridled optimism and euphoria which swept through the Tory conference in October, when hard Brexit became the battle cry. Could that be Brexitmania? Nobody likes being told they are off their rocker, but something is obviously wrong. It’s no joke to be the laughing stock of the world. Even if we are not completely barmy, we are at least going through a period of dangerous instability. Fortunately we do have some insight, which should improve the prognosis. If we can work out what is responsible for our condition, we might be able to do something about it. The tabloid press has a lot to answer for. For years it has bombarded the public with anti-EU and anti-immigrant stories, always in a way calculated to cause maximum outrage. The stirring of anger is not good for mental health; known to psychologists as “high expressed emotion” it is one of the classic risk factors. What can we do about it? In a letter to the British Medical Journal before the referendum, I joked that what was needed was a drug active against hyperbole and bias, having been trialled on tabloid editors. Unfortunately it did not arrive fast enough, but one can always sign the Leveson Royal Charter Declaration, as I have done myself, in the hope of encouraging proper press accountability. Leveson part 2 must now go ahead without obstruction, Brian Cathcart emphasises. We could also use some outside help. At present, the wolf pack that is the Brexit press has it all its own way, dominating circulation and brainwashing the public with their relentless propaganda. The launch of the New European newspaper last July was a good start to the counter-offensive, but the EU could provide reinforcements. It could launch a few of its own tabloids, demonstrating a more responsible journalism. These would compete with the more noxious Brexit titles such as the Daily Mail, reducing their impact, following the successful model developed for the zika virus. Here g​enetically modified mosquitoes​ were released, incapable of transmitting the infection​. If it works for mosquitoes, why not for newspapers? In the 1970’s when I was starting off in psychiatry, schizophrenia was poorly understood and even more stigmatised than it is now. But the Scottish psychiatrist Dr R.D. Laing claimed in his seminal book "The Divided Self" that sufferers were somehow more aware and enlightened than the society which rejected them. A charismatic man, he could be said to have made a success out of schizophrenia. Today, our Prime Minister Theresa May assures us that she will make a success out of Brexit, and a divided and disunited kingdom can be open to unique opportunities. It remains to be seen whether her resolute and implacable approach will kill us or cure us. Laing was the forerunner of ‘anti-psychiatrists’, people who say we shouldn’t try to medicalise social ills. To some extent I agree. There are many things loosely described as crazy – the burning of fossil fuels, the destruction of the rainforest and so on. They differ from Brexit in that although there may be little that the lone individual can do, there are pressure groups taking responsibility and taking action on our behalf. With Brexit, condition is crazier but the politics has been paralysed. The only coherent opposition comes, ironically, from Ronnie Laing’s Scotland. Among our European family, my conviction is that deep down, there is a hope that we will relent and come back into the fold. We may have run off from home and joined the Moonies, but some day we will come back where we belong. Images live on in Germany of the quiet and slightly eccentric kind of Englishness immortally captured in the songs of Paddy Roberts. Germany and all Europe shares so much of our culture, it would be a pity to go to war again. A side effect of Brexit will be the renewed appreciation of Europe. We don’t value things until they are taken from us, that is human nature. For years we have taken our EU protections and rights for granted, but no longer. When the Brexit fever passes and sanity returns, a movement to rejoin will gather force, and the harder the Brexit, the stronger the rebound. How long this will take is anyone’s guess; few would be brave enough to make predictions in these uncertain times. But my hunch is that in less than twenty years the wheel will come full circle, and a new Europe will be born, with Britain once more at its centre. - Dr John King is a retired NHS consultant psychiatrist and fellow of Warwick University’s Clinical Sciences Research Institute.